At the age of three, Salma Costa was diagnosed with medulloblastoma, an aggressive form of brain cancer. 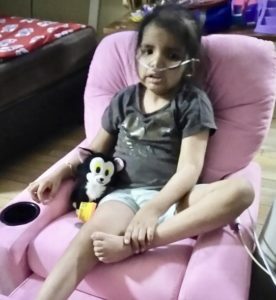 After multiple brain surgeries, nine months of chemotherapy, radiation and various trail adaptive therapies, she sadly lost her battle with the disease at just the age of seven on August 31, 2017. 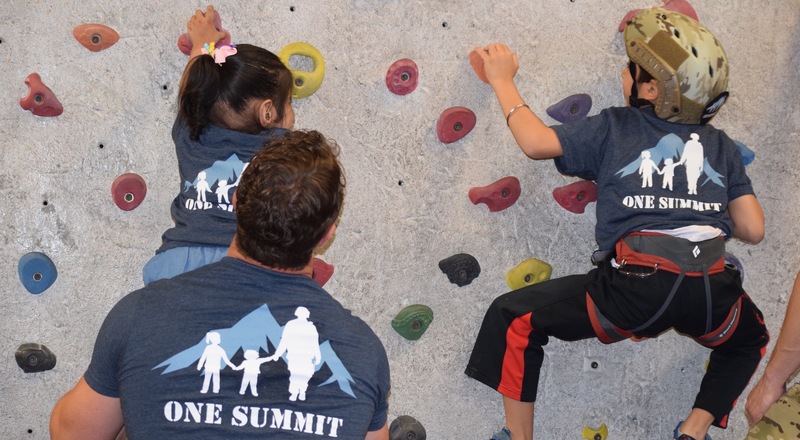 One Summit is sharing the Costa’s inspiring story to commemorate the one-year anniversary of Salma’s passing and celebrate the Costa’s journey of resilience. This letter – titled “The Day I Got to be a Navy SEAL” – was read by Salma’s mother, Fabiana at this year’s Mentor Training Dinner the night before Climb for Courage, Boston. It describes Salma’s Climb for Courage, Boston 2017 experience alongside her brother, Amin and their Navy SEAL mentors, Dan and Adam. I was a shy little girl, fighting the odds in my life — odds that weren’t easy. I was brave yet afraid. I preferred to sit in my comfort zone, avoiding change. In my everyday routine, I had my place on my couch, where I felt most comfortable to play with my little toys. Playing with my toys was the most adventurous event of the day for me. That is, until I got invited to participate in a One Summit Climb for Courage. My mom wasn’t convinced right away, but she agreed to take me anyways. I was shy when I first got there, but after meeting my mentor, I started to open up to him with caution, and little by little, he got my heart. He didn’t look like a nurse or a doctor, so I wasn’t as nervous. Right after the introduction he showed me a huge wall and asked me if I would like to climb. I wasn’t too confident about it, but he assured me of my strength, and promised to stay by my side. Judging my mother’s facial expressions, I could tell she wasn’t so sure. And yet, we both noticed the passion and confidence in his eyes. I knew I could do it. As we started to get ready my mother left. For the first time, I didn’t cry because of her absence. I knew I was in good hands. For the first time in a long time, I felt equal. I felt free. 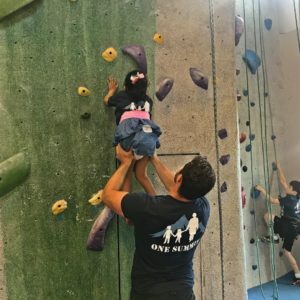 I climbed the wall of courage, which was not only an ordinary wall, but a wall that brought back to life the old me — a little girl able to walk, talk and run, a happy girl that was all this time inside me waiting to come out. I felt like a warrior on that wall. All I had in mind was that I had to succeed. I was in a battle against myself, showing my body that if I put in a little more effort I could win that battle. I didn’t fear because every time I would look to my side my mentor was there, holding my hand, smiling at me and telling me that I was being awesome. His confidence and his trust in me were all I needed to keep going up. I wished my mother would have seen me, but probably she would have had a heart attack! The body that was so weak, was strong again. I was in combat and I would not let anything take that strength away, even if it was for a couple of hours. I was being me again. I was free! But I couldn’t have done it without my number one support…my One Summit mentor. He showed me love, dedication, perseverance, and most of all he showed trust. When I was all the way on top and I saw everyone staring at me from below, and I thought “wow.” I used to be the one watching everyone else have fun, and today I was being watched! I was amazed by that. In that moment I knew I passed the test. I was a warrior, or better said, I was a Navy SEAL! I learned that being a SEAL is not only about being in combat. It is about learning to face your fears with confidence and faith in yourself and your team. My brother was part of my team. He also climbed. I can’t recall one moment when we had such quality time together enjoying the same thing. He was so proud of me. After a long two hours of fun and bravery with my mentor and my brother, my mother came to pick me up. She was amazed at how much fun and energy I had gained. The moment my mom saw this change in me, was the moment our life took a shift. My mother had been very sensitive and aware of my environment. Most of the time she felt safe in the super bubble and routines she had created for me. But after my day with One Summit, she realized that she could trust my infinite potential. She started trusting the world outside the bubble and allowed me to experience more adventures. We went to the beach more, we went hiking, to playdates, movies and amusement parks. The last two months of my life, my experience on this earth was filled with adventures and excitement! I’m happy I got to fly on earth before gaining my real wings. Thank you to all my friends on the One Summit team who made my last memories so remarkable. Thank you for the courage you gave my mother, my family and me to experience our last moments together worry and fear free. Share the Costa's story on Facebook, Instagram and Twitter to inspire resilience across your own network. Have your own story of resilience? Email greg@onesummit.org to be considered for Steve Hardy’s next Profiles in Resilience.